Fr. Alexander was born in Sacramento, California. At the age of 6, he and his family relocated to Santa Clara, California. A year later, at the age of 7, his family settled down in South San Jose where he completed Elementary School, Junior High School and High School. At the age of 15, Fr. Alexander and his family, including his stepfather, mother and three siblings, encountered the Orthodox Faith. At the age of 16, Fr. Alexander was chrismated at St. Nicholas Greek Orthodox Church in San Jose, by Fr. Paul Palesty, who became his Spiritual Father, inspiration and mentor. Following graduation from High School, he enrolled at Hellenic College. Immediately after graduating from there, he entered Holy Cross Greek Orthodox School of Theology, graduating in 1991. After graduation, as a layman, Fr. Alexander was chanter at Annunciation Cathedral in San Francisco until August, 1996. From September, 1996 to 1998, he was a student life coordinator at St. Basil Academy in Garrison, New York, and at the same time, a choir director and an instructor of religion at Zoodochos Peghe Church in Bronx, New York. 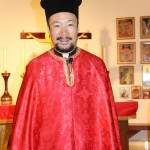 In the Fall of 1998, he moved back to California and became a Lay Assistant at St. Nicholas Church in San Jose. On September 25, 1999, Fr. Alexander married Hiroko (Nicole) Kumasaka from Tokyo, Japan. Three months later, he was ordained to the Diaconate on Sunday, December 26, 1999, by Metropolitan Anthony of blessed memory, at Annunciation Cathedral in Sacramento, California. On February, 20, 2000, he was ordained to the Holy Priesthood by Archbishop Demetrios of America, in San Jose, California. Fr. 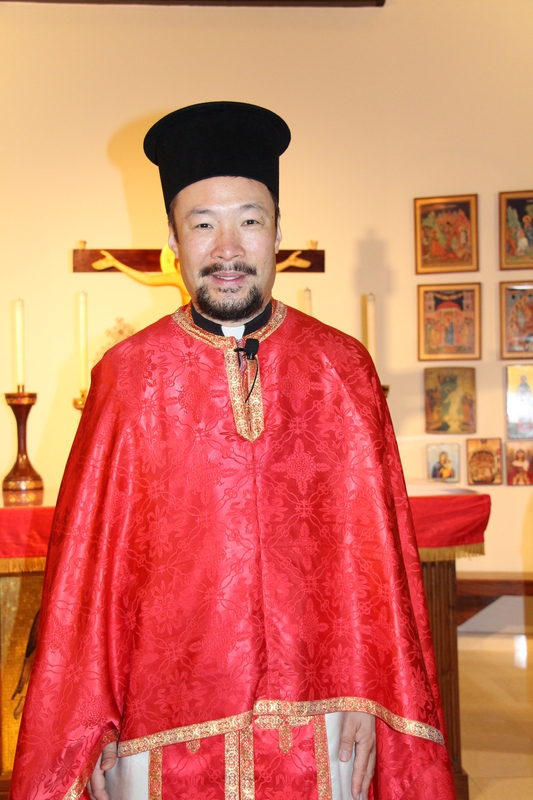 Alexander served as Assistant Priest at St. Nicholas Church in San Jose from 2000 to 2004, under the guidance of Fr. John Asimacopoulos, of blessed memory. Fr. Alexander was assigned to Ss. Constantine and Helen Church in Vallejo, California, September, 2004, where he served until August 2013. Fr. Alexander was then reassigned to Ss. Constantine & Helen Cathedral of the Pacific in Honolulu, Hawaii in September of 2013.